Languedoc (/ˌlɒŋɡəˈdɒk/ ; French: [lɑ̃ɡ.dɔk] ; Occitan: Lengadòc [ˌleŋɡɔˈðɔ]) is a former province of France. Its territory is now contained in the modern-day region of Occitanie in the south of France. Its capital city was Toulouse. It had an area of approximately 27,376 square kilometers (10,570 square miles). The traditional provinces of the kingdom of France were not formally defined. A province was simply a territory of common traditions and customs, but it had no political organization. Today, when people refer to the old provinces of France, they actually refer to the gouvernements as they existed in 1789. Gouvernements were military regions established in the middle of the 16th century and whose territories closely matched those of the traditional provinces. However, in some cases, small provinces had been merged with a large one into a single gouvernement, so gouvernements are not exactly the same as the traditional provinces. 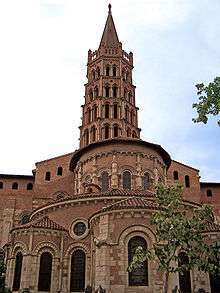 Historically, the region was called the county of Toulouse, a county independent from the kings of France. The county of Toulouse was made up of what would later be called Languedoc, but it also included the province of Quercy (now département of Lot and northern half of the département of Tarn-et-Garonne) and the province of Rouergue (now département of Aveyron), both to the northwest of Languedoc. At some times it even included the province of Agenais (now eastern half of the département of Lot-et-Garonne) to the west of Languedoc, the province of Gévaudan (now département of Lozère), the province of Velay (now the central and eastern part of the département of Haute-Loire), the southern part of the province of Vivarais (now the southern part of the département of Ardèche), and even all the northern half of Provence. After the French conquest the entire county was dismantled, the central part of it being now called Languedoc. 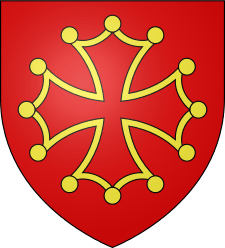 The gouvernement of Languedoc was created in the middle of the 16th century. 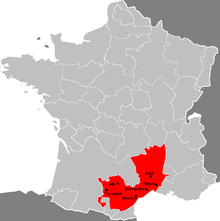 In addition to Languedoc proper, it also included the three small provinces of Gévaudan, Velay, and Vivarais (in its entirety), these three provinces being to the northeast of Languedoc. Some people also consider that the region around Albi was a traditional province, called Albigeois (now département of Tarn), although it is most often considered as being part of Languedoc proper. The provinces of Quercy and Rouergue, despite their old ties with Toulouse, were not incorporated into the gouvernement of Languedoc, instead being attached to the gouvernement of Guienne and its far-away capital Bordeaux. This decision was probably intentional, to avoid reviving the independently spirited county of Toulouse. In the rest of the article, Languedoc refers to the territory of this gouvernement of Languedoc. 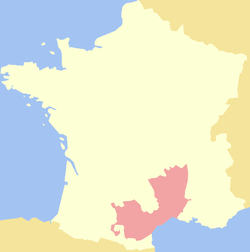 The province of Languedoc covered an area of approximately 42,700 km² (16,490 sq. miles) in the central part of southern France, roughly the region between the Rhône River (border with Provence) and the Garonne River (border with Gascony), extending northwards to the Cévennes and the Massif Central (border with Auvergne). For religious purposes, Languedoc was also divided into a certain number of ecclesiastical provinces, including the archdiocese of Toulouse. 55.5% of its former territory lies in the Languedoc-Roussillon région, capital city Montpellier, covering the départements of Gard, Hérault, Aude, Lozère, and the extreme-north of Pyrénées-Orientales, which account for 86.5% of the territory of Languedoc-Roussillon. The remaining 13.5% is Roussillon (Pyrénées-Orientales), a province which was never part of Languedoc historically. 24.8% of its former territory lies in the Midi-Pyrénées région, capital city Toulouse, covering the département of Tarn, as well as the eastern half of Haute-Garonne, the southeast of Tarn-et-Garonne, and the northwest and northeast of Ariège, which account for 23.4% of the territory of Midi-Pyrénées. The remaining 76.6% is made of Quercy and Rouergue (of which was talked above), as well as the province of County of Foix (which had been a vassal of the county of Toulouse in the Middle Ages), several small provinces of the Pyrénées mountains, and a large part of Gascony. 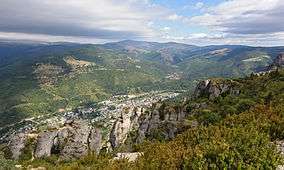 More recently, "green" and sports tourism is on the rise, with the gorges of the Tarn River, the Ardèche Gorges, as well as the vast preserved expanses of Cévennes, Ardèche, Lauragais, and other sites.